A representative of ASDE / RESAC participated in the third workshop (6-8 March 2018) of the DARWIN Community of Practitioners (DCoP). Participation took place at the invitation of the Centre for Teaching and Research in Disaster Medicine and Traumatology / Katastrofmedicinskt centrum (KMC, Sweden), which is one of the main partners in the project. More information about the project and the developed guidelines can be obtained from the project website: h2020darwin.eu. Earth Observation Operational Capacity, Support to DRR & DRM and Regular Monitoring of Changes. ASDE-Ecoregions in collaboration with partners under the Bulgarian information office in earth observation - BIOC /COPERNICUS/, in particular ReSAC and in close collaboration with Disaster Risk Management and Knowledge Center with DG JRC E1. General result concerns strong operational capacity - Remote Sensing and In-situ applications / analysis / modelling; developing of trans-national methodologies and practices on regular monitoring of changes, based on Remote Sensing information and processing. A brief presentation is prepared according to an invitation from EARSC. Access this information in ASDE - SERVICES section. Download Brief presentation from EARSC User Story , in PDF. The Board of ASDE-ECOREGIONS, greets the expert team - Vladislav Hristov, Venko Beshkov and Petko Petkov (member of the MB of ASDE-ECOREGIONS), awarded with a certificate bronze medal at the 9th International Fair for Innovation in the Middle East, held 15 - 19th of January, 2017 - organized by the Kuwait Science Club. 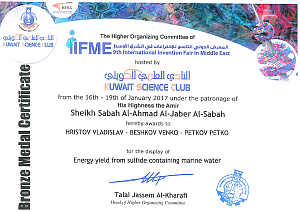 The award is for the presented project - ENERGY YIELD FROM SULFIDE CONTAINING MARINE WATER. ASDE-ECOREGIONS support to the extent possible the development of this technology, which began as an initiative to extract pure and renewable energy resources from seawater. The innovative solution is particularly important not only to provide an alternative energy source, but also for solving specific environmental problems of the Black Sea. 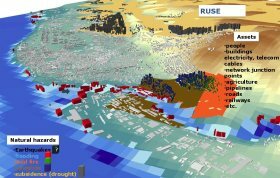 Copernicus Data and Information Access Services Operations – user-oriented products and services; support to strategy planning and prevention modelling. ASDE (in cooperation with partner organizations), offer the following services of the public administration and Bulgarian municipalities, based on the experience and operational capacity under EU and national R&D programs and projects: Comparison of digital maps – cadastral maps and repossession maps (maps of restored property - MRP) accuracy with respect to certain aspects of the thematic and graphical information. Based on our experience gained, it can be reasoned with a high degree of confidence that most of the basic data in the MRPs are not sufficiently accurate and their errors will be directly transferred to the cadastre maps and registers. Inability to integrate data with the existing data for the same property within the Property Registry due to inability to harmonize them, and hence - inability to validate the data for property rights in the cadastral register of real property. Similar problems are expected to be faced in the future in relation with the integration of plans for the newly formed properties, the existing registries of state and municipal real property, local revenues data bases, specialized cadastral maps and other geographical and geo-referred databases and information systems. To ensure authenticity/accuracy of thematic information and the necessary degree of compatibility between the data from the cadastre and MRP, there is a need of a third reference database that reflects the current and objective state of the land cover/land use of the territory. We believe, this can be the so-called reference land cover layer, created on the basis of high or very high resolution satellite images (alternatively by air photos), using the methodology of the UN - Land Cover Classification System (LCCS) and the new global standard - ISO 19144-2 (LCML). Bulgaria has achieved a good practical results in this area and committed an extra data harmonization using the most actual national territorial database - by integrating the land Parcel Identification System (LPIS), which was developed and supported by the Ministry of Agriculture and Food (MAF). 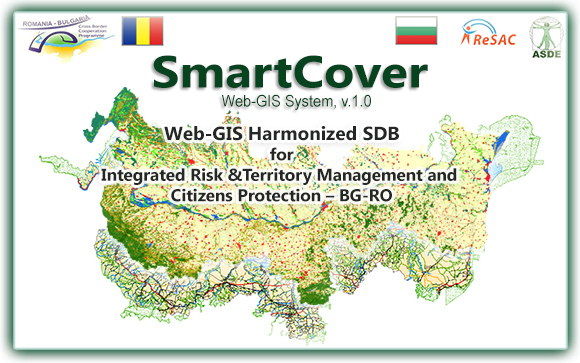 In this regard, again we remind that for the first time in the European Union such methodology, a new ISO standard, and attachment to national LPIS were used to create cross-border harmonized spatial database between Bulgaria and Romania, with the support of the Cross-Border Cooperation Program Romania-Bulgaria 2007 -2013 – the so-called SmartCover Architecture. This result was supported by the European Commission and is part of the developed Danube Reference Data and Services Infrastructure (DRDSI) . We propose to government and local authorities, as well as to experts who are involved in the integration of MRP with the cadastral maps and particularly geodetic surveyors certified under the Cadastre and Property Register Act, to initiate a cooperation in order to reach a high degree of harmonization and reconciliation of the four thematic databases - cadastral maps, MRP, reference land cover layer under ISO 1914402 and LPIS. On behalf of the cohesive team of ASDE, we wish to all friends and colleagues good health and happiness! As European descendants (do not forget that initially the name Europe is used only for the Balkans) and taking into account the Dutch Semester, we have decided to congratulate you with the united Bulgarian and Dutch symbols. 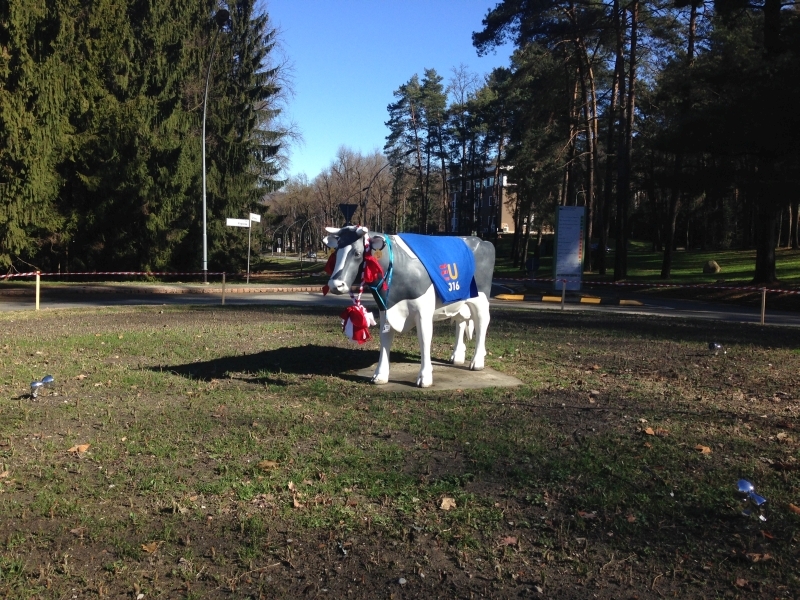 They are the Bulgarian martenitza, tied around the neck of the Dutch cow – Bertha. This wonderful idea is realized by our countrymen in front of the European Commission -the JRC Ispra site, Italy. On the 6th of August, in Bucharest (Romania) took place the FINAL CONFERENCE of the flagship project SPATIAL - “COMMON STRATEGY FOR SUSTAINABLE TERRITORIAL DEVELOPMENT OF THE CROSS-BORDER AREA ROMANIA-BULGARIA” , under the Romania- Bulgaria Cross Border Cooperation Programme 2007-2013. The aim of the conference was to present the final results of the project and to put on discussion the “NEXT STEPS” of SPATIAL. ASDE was one of the major project partners, responsible for the realization of the work package 3 - WP3 - Common resources for a territorial planning analysis and strategy. The task for ASDE was to prepare the common methodology and operational capacity for trans-border (BG-RO) harmonized spatial databases under the Directive 02/07/EU-INSPIRE and a reference land cover/land use layer, under the new world standard ISO 19144-2 (LCML). This task was realized in full scale, even more - as state administration from both countries had not the capacity to maintain the harmonized SDB, ASDE has created a Geo-portal, called SmartCover Architecture and all data for more than 71 000 km2 have been transferred there. The SmartCover Architecture Geo-portal has been developed, including technical support from the European Commission – DG JRC – IPSC, from 2013. The methodology and the practical realization of the Common Reference Land Cover Data and Smart GeoPortal is an important and necessary basic tool for smart, efficient and resilient management and monitoring of results not only for the Danube Strategy but for all EU MACRO-REGIONAL STRATEGIES. Applying of an advanced model for harmonization of spatial databases. Its adaptive architecture allows to be included (through harmonization) spatial databases of other countries into a common multinational spatial database. The University of National and World Economy (UNWE), Dept. of Information Technologies and Communications, Faculty of Applied Informatics and Statistics, organizes the International Conference on Natural Disasters and Emergency Management (ICNDEM 2015), which will take place on November 04 th to 06th 2015 at UNWE, Sofia, Bulgaria. ICNDEM-2015 provides an international forum for researchers and practitioners to present their latest R & D findings and innovations. The conference is especially focused on the various aspects and challenges of the natural disasters and emergency management. ICDNEM-2015 invites experts, researchers, academicians and all other who are interested to disseminate their work. On behalf of the Conference Committees, Everyone is invited to take part in work of the forthcoming anniversary 5th International Conference on Application of Information and Communication Technology and Statistics in Economy and Education (ICAICTSEE-2015), which will take place on November 13 – 14th 2015 at the University of National and World Economy (UNWE), Sofia, Bulgaria. The conference is organized by the Faculty of Applied Informatics and Statistics, UNWE. The developed information system SmartCover – provides services, based on spatial data within Web-GIS environment. SmartCover is unique for Bulgaria and EU, because it comprises of trans-border spatial data and services, harmonized under Directive INSPIRE. On other side SmartCover is based on a reference land cover/land use layer, developed under the ISO 19144-2(LCML), thus supporting coordination and actualization of various SDB layers and integration of thematic databases into the harmonized information source. One of the main purposes of SmartCover Architecture is to be an information platform for integrated risk, territory and citizen protection management, as well as for regular monitoring of changes and the efficient acquisition of European, regional and national funds. 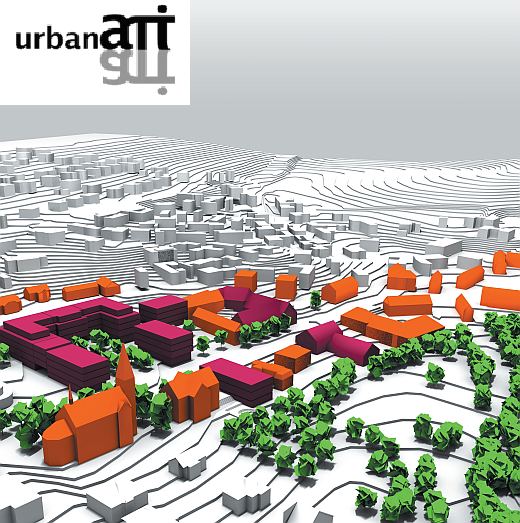 Newsletter of UrbanAPI’s from 04/2014 is now available. We hope you will enjoy reading this newsletter. Newsletter of UrbanAPI from April 2014. 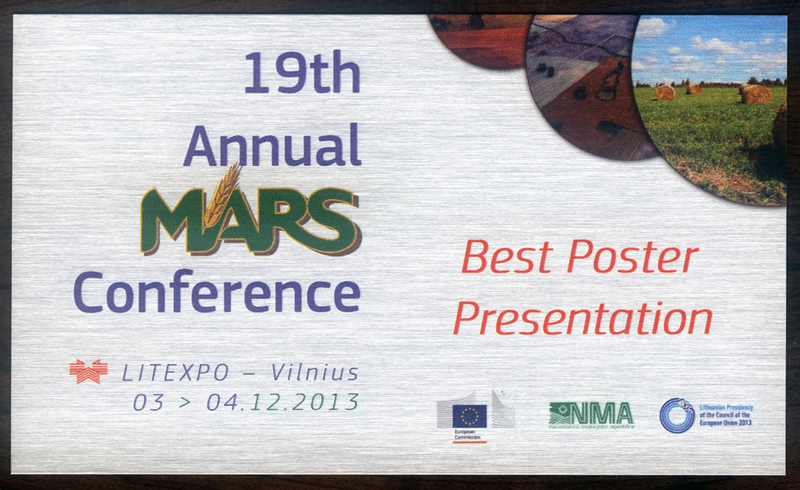 Since ASDE was awarded with a prize for „Best poster“ on the 19-th annual MARS UNIT conference organized by the Joint Research Center of the EC and NMA held in city of Vilnius, Lithuania, the DG JRC-IES provided ASDE with a Greeting letter and Plaque. The Greeting Letter and the Plaque stands for high assessment given by an experts from the European Commission based on the methodology and innovative solution in using the Reference layer- Land cover / Land use, represented within the Poster with name „Use of LPIS and COPERNICUS Data in the Elaboration of Trans-Border Reference Land Cover Datasets“, worked out jointly by ASDE and ReSAC. The Plate can be accessed down below within the previous issue. The Plate advertise the results on the leading project of Common strategy for management the trans-border territory of Bulgaria and Romania, that is part of Cross-border cooperation program between Bulgaria and Romania - CBC MIS ETC 171 (SPATIAL). As this poster is a result of collaboration between two agencies ASDE and ReSAC so the both organizations was provided with the Plaque. 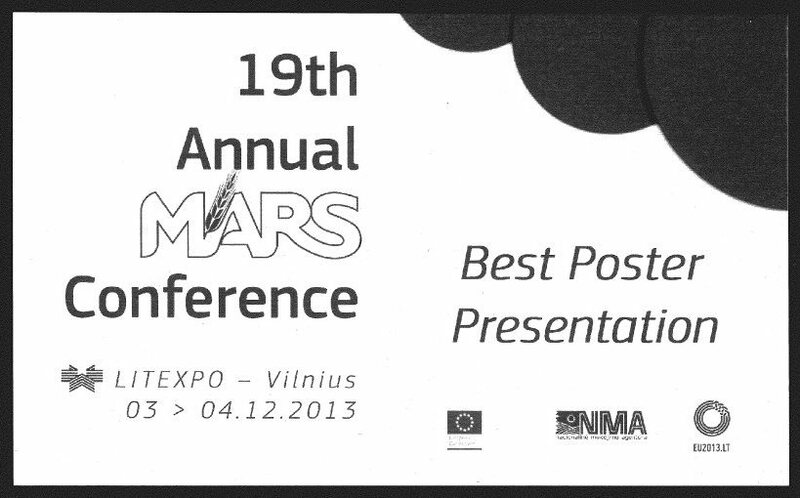 The 19th MARS Conference organized by the Joint Research Center of the EC and the Lithuanian Paying Agency (NMA) took place on 3 and 4 of December 2013 in city of Vilnius, Lithuania. Its main topic was related to the incoming challenges with respect to management and control of the new "greener" EU Common Agriculture Policy (CAP). As every year, representatives of ASDE and ReSAC attended the conference and actively participated in the debates and the dedicated poster session. A screening of current developments addressing the foreseen procedures and challenges identified by Member States regarding main implementation topics of the future CAP has been provided. The aim was to achieve an overview of implementation needs, gathering ideas and requests but not to go as far as solutions, since several aspects are still under discussion. 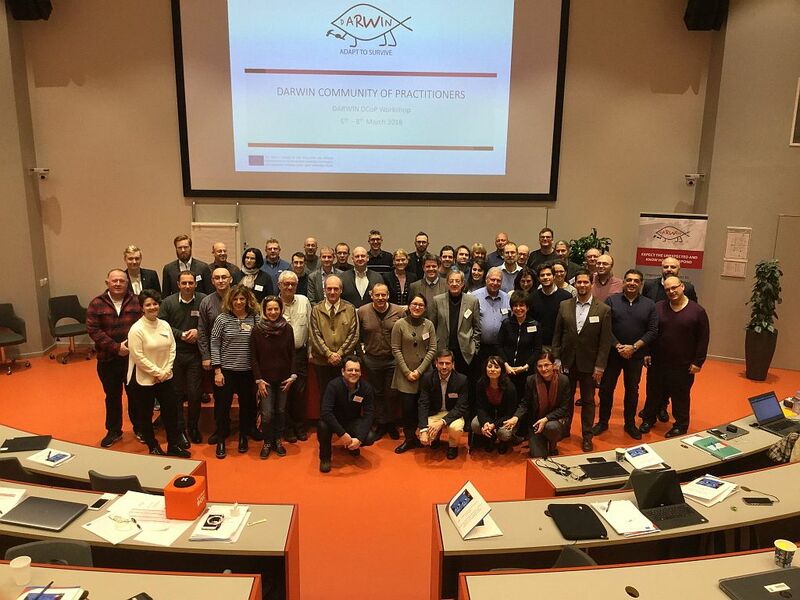 The agenda included the following main topics: The framework for quantifying Ecological Focused Areas (EFAs), Update of control and management tools, and the assessment frameworks (standards, methods, evaluation, and indicators). Special attention was given to information needs of environmental policy and synergies with the CAP and Copernicus program, as well as on the use of IACS data (Farmer data, Land Parcel Identification System) to estimate the parameters of the "green" measures, related to EFAs and permanent grasslands. The poster "Use of LPIS and COPERNICUS data in the elaboration of trans-border reference land cover datasets" presented by ASDE and ReSAC was selected by the conference committee as the best one, since it is the first successful large scale example for integration of Earth Observation and in-situ data in relation to the monitoring of the EU agriculture policy. 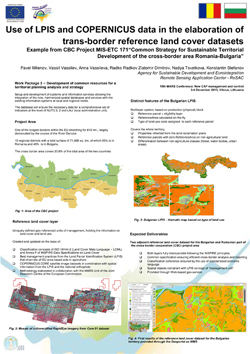 The study case presented in the poster was from the CBC Project MIS-ETC 171 "Common Strategy for Sustainable Territorial Development of the cross-border area Romania-Bulgaria". ASDE expanded "Riskwatch" scope with another reported disaster type - „Severe Wind“ which started at the beginning of July. 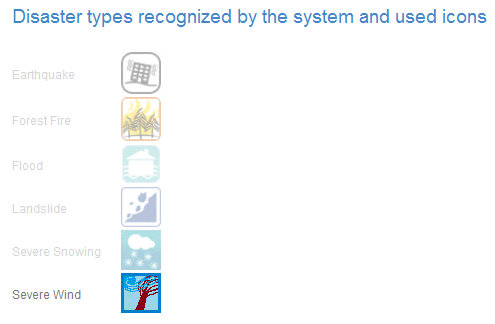 Now the interactive Web-GIS map is populated with the new disaster type - „Severe Wind“ with the icon represented above. The ASDE's web developers also worked out on the system and soon will be a new version of the current GUI, in the face of well known open source framework P.Mapper. ASDE already is a partner, and declares its support for the European Commission’s Climate Change Campaign “A world you like. With a climate you like.” in Bulgaria. Now be at hand to be discussed the activities and operational capacity in which ASDE will participate with. On 09.04.2013 the Agency for Sustainable Development and Eurointegration – ECOREGIONS (ASDE) has signed with European Space Agency (ESA) a License Agreement to become a registered user of the GMES Space Component Data Access (GSC-DA) until 2014. The GMES Space Component (GSC) Data Access system is the interface for accessing the Earth Observation products from the GMES Space Component. The system overall space capacity relies on several EO missions contributing to GMES, and it is continuously evolving, with new missions becoming available along time and others ending and/or being replaced. To facilitate the data access for the services and aim at long-term data reliability beyond single missions. ASDE projects, thus delivering value added thematic products and raising awareness of the benefits of this independent source of information – Earth Observation Data. In conjunction with the common coordination of WP6 ASDE – Ecoregions (that is responsible for WP6), suggests an open discussion on some key issues related to spatial data harmonization and its quality, permanent monitoring and verification. There is ongoing preparation of a brief report containing ASDE – Ecoregion experts’ position. The report will be submitted for harmonization and comments. In the frame of EU project UrbanAPI, financed by 7-th Framework program, in which ASDE is a partner, there is already developed application software, which provides applications useful for the state and local administration during the processes of urban and environment management, and also to forecast the possible impact of certain investment/business intentions and assessment of the expected environment and urban status after implementation of relevant policies. Such applications could be very useful during discussions on investments impact on delicate environment and zones of heightened public interest – as an example, the present dispute about the discussed amendments in the Forest law, and potential consequence of investment intentions for building of new skiing tracks, lifts and buildings. ASDE is ready to discuss with representatives of concerned municipalities and/or state bodies the application capability of the developed software. The first dialog caffe regarding “Climate Changes” was held in the city of Glasgow, Scotland - United Kingdom from 28th to 31st of May. The discussion was focused on the impact of climate change on sustainable management and development of European cities, as well as on particular examples from different countries. It was open for external experts from different spheres – urban professionals and practitioners, policy and decision makers, local administration bodies, researchers and business representatives and others. 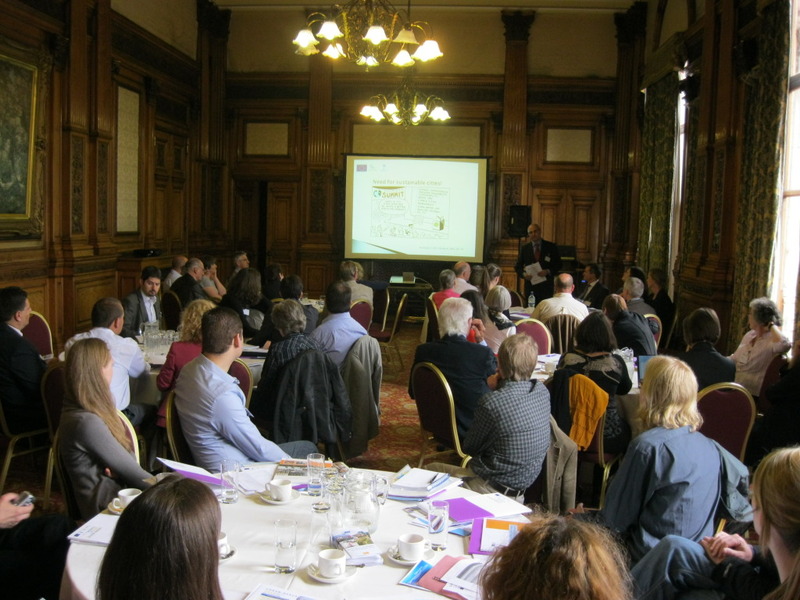 More than 50 people from 13 European countries attended the DC which took place in the Glasgow City Chamber. In the two plenary and three parallel sessions the attendees had the opportunity to share knowledge and identify complex issues shared by European cities in building resilience to climate change and also to develop connections and networks with other organizations and to explore the potential options for future cooperation and collaboration. Additional information can be found on the official Urban-Nexus website. As a partner responsible for the work package 6 (WP6) of the project, ASDE will provide an analysis for the link between the climate changes and data quality and information, and the necessity of permanent monitoring. In the presented above maps, you can see the difference between the two interpretations of the land cover! Inside the presented homogeneous element Sofia Airport there are at least six different classes of land cover – buildings, green areas, water areas, concrete surfaces of the tracks, and etc. In conclusion we think it is necessary a broad discussion of the basic principles and elements, over which is based the land cover classification of European cities. 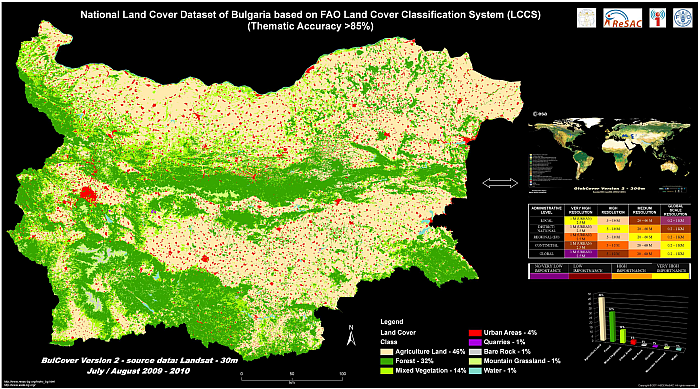 A good example of correct classification is the classification system LCCS - FAO, which is used in Bulgaria for the national reference land cover layer - BULCOVER, and in the produced land cover maps for the biggest Bulgarian cities. На 28 и 29 Февруари 2012г., в Брюксел, Белгия, се проведе конференция - “SPACE EU”. Информация за конференцията можете да намерите в интернет на страницата на SpaceEU-FP7. В паралелна сесия "FP7 Countries Space activities", изпълнителният директор на АУРЕ - арх. Кристиян Миленов е направил кратка презентация за приоритети на българския капацитет в Космоса, подготвена съвместно с представители на Центъра за приложение на спътникови изображения - РЕСАК, на Института за космически изследвания и технологии при БАН и Българския информационен офис по Земно наблюдение - ГМОСС. Преглед на организациите по категории можете на дамерите отново на страницата на конференцията, или от ТУК. 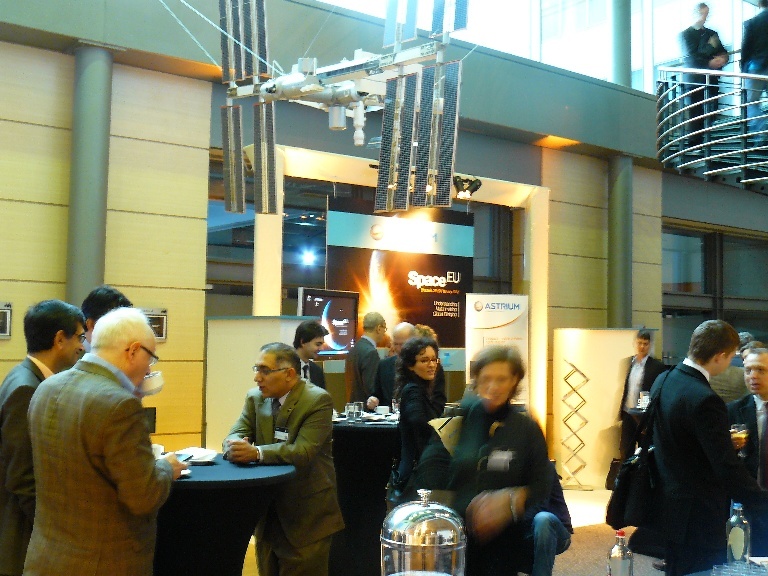 On 28 and 29 February 2012, in Brussels, Belgium, a conference - “SPACE EU” was held. Information about the conference can be found - HERE. At the parallel session "FP7 Countries Space activities", the executive director of ASDE - Arch. Christian Milenov made a brief presentation on the priorities of the Bulgarian capacity in space activities, prepared in a cooperation with Remote Sensing Application Center - ReSAC, the Institute for Space Research and Technology and the Bulgarian Academy of Sciences and the Bulgarian Information Office for GMES - BIOG. Presentations shown at SpaceEU now online - HERE. Search for suitable organisations - HERE. In connection with the recent crisis events associated with floods in southern Bulgaria and the discussion discussion on the need for register ponds in Bulgaria should inform the relevant authorities and public that have an information system which maintains certain information about water bodies in the territory of Bulgaria, which are about 10 600. They include both large and small dams, as well as lakes and wetlands. Proposals have been prepared for passports for every water body type. Passports include significant geographic, morphometric, hydraulic, physico-chemical and biological parameters. Passports are filled with available data collected from various freely available sources for all the 52 dam complex the territory of Bulgaria. This register is being prepared for 10 years and is periodically submitted to the MOEW, “Fire safety and rescue” Directorate General at the Ministry of interior, Executive Forest Agency, MAF and other with a proposal for jointly use and maintainance. This development was reported to numerous scientific forums in our country and abroad and was published in 2010 at the 24th newsletter issue of the European Association of Remote Sensing organizations EOMAG, of which ReSAC is a member since 2005. 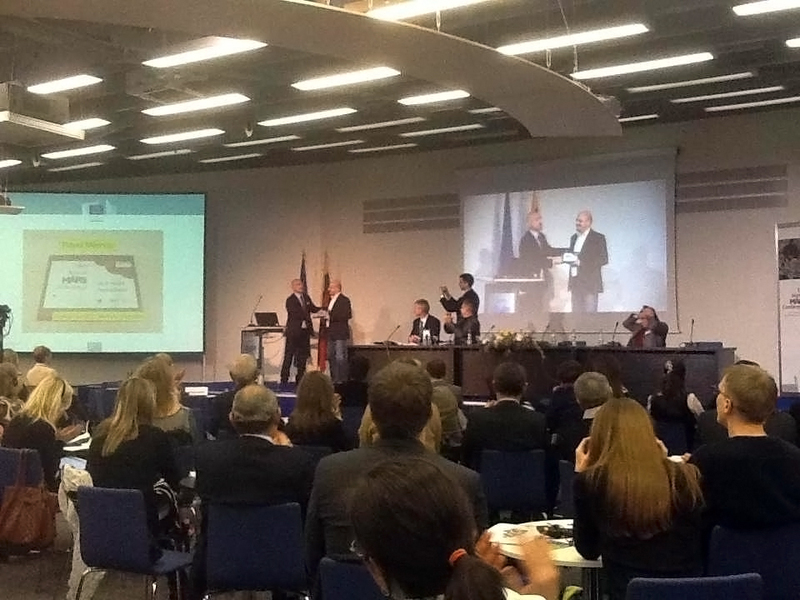 The last public representative sample of this register was conducted during the 7th Scientific Conference with international participation "SPACE ENVIRONMENT SECURITY" held in Sofia from 9th of November till 1st of December 2011. A joint presentation was made by the Remote Sensing Application Center-ReSAC and the Department of Ecology and Environmental Protection, Faculty of Biology, Sofia University "St. Kliment Ohridski ". The regiser of water bodies in Bulgaria was introduced into the geo-portalBulgarian Spatial Data Infrastructure. The information system allows maintenance of different capacity and content of information for each water body according to the users needs. 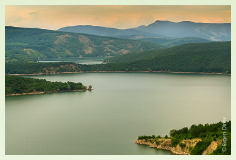 There is an option ( at a request of the users and in the presence of constantly updated information ) to submit an electronic map of Bulgaria with these water bodies (mainly dams) which have identified problems, whether steps have been taken and whether the pace of critically needed strengthening or repair of facilities. Based on proposed models for passports completion could start for about 10,600 water bodies, which include most problematic micro dams. The passport data can be extended with information about the protective dike and other facilities, regular inspection and disturbing indicators. Experts from the Agency for Sustainable Development and Eurointegration - ASDE and ReSAC have already tested a similar technology when in 2008 sent to several municipalities a simlified format of the passport for completion, a list and a map of water bodies within their administrative borders. We believe that such a scheme of work would facilitate rapid inventory of water bodies in Bulgaria. ReSAC available database (already mapped objects) expanded with passports’ attributes (from municipal administrations and other departments) could become a national information system for still bodies of water, which may be used by different users, including activities for preventing flood. More information can be found on ReSAC website. We are ready to render assistance to state and local authorities on the basis of the register disscussed, and the joint capabilities of the organizations which are members of the Bulgarian Information Office of Earth Observation - GMES. The crisis situation which occurs in the early morning of the 6th of February at the village Biser, Harmanli district, due to an alleged breaking off a dam wall of Ivanovo dam lake, consequently flooding along Biserska river, requires rapid mobilization of all available resources to be saved the affected residents. At the same time it shows the need of early warning procedure and previously assessment and modeling of the impact from potential flooding for the preparation of a municipal action plan and rapid measures in order to reduce the impact of the event and overcome the damage. On the Internet at: http://bsdi.asde-bg.org and right HERE you can find over 150 simulation models for risk of flooding along the major rivers in Bulgaria. These models are open to free access and any interested municipality or organization could make appropriate assessments or to contact us for further analyzes. Among these models you can track what further flooding might be expected when water level rise along the Maritsa River - settlements Lyubimets and Svilengrad. The accepted methodology allows obtaining sufficiently useful ( user-oriented) results in a short range of time in order to take prompt action and to assess potential hazards and possible damage. It is prepared to be used even with a minimum available information. If additional data and information is provided, such as cadastre information, building data, distribution of population, significant sites(assets), installations"&"infrastructure, etc., more accurate and various analysis, estimations and reliable forecasts can be made. As a very recent and important result, including flood risk modeling, can be presented the report "Preliminary Assessment of the risk of flooding of the rivers Danube region to the database" which is performed by the Remote Sensing Applications Center - ReSAC (member of the Bulgarian information office on GMES – BIOG). The report was ordered by the Ministry of environment and waters and ended successfully these days. The results can be found on the Basin Directorate for water management (BDWM) web pages as follows: BDWM - Dunabe region, BDWM - East Aegean Region, BDWM - Black Sea region, BDWM - West Aegean Region and ReSAC web page. The task is part of the implementation in Bulgaria of Directive 60/2007/EO - Risk of flooding. The case of this disaster which combines natural event with human negligence allows ouselfs to pay attention to the necessity for asking the administrative structures to prioritize risk management – prevention, strategic planning, forecast models, to estimate the possible damages and casualties, and to inspect and assess the condition of existing facilities and equipment, which could be a potential threat to people, facilities and environment. Public awareness on early warning and measures for fast response to such situations is also fo importance. No less important is provide access to various databases and spatial information, which are maintained in various state and municipal structures and have to be harmonized under the requirements of the EU Directive 02/2007/EU-INSPIRE. There are lots of reliable organizations in Bulgaria who are ready to render assistance in terms of better early warning and risk management information on the basis of forecast models, if the responsible institutions provide the basic support for processing and maintenance of the information systems and the necessary preliminary data. “At a time when sustainability is a key element that must be taken into consideration in any future actions, we should discuss the question of whether to allow the injection of toxic chemicals into the ground or it should be prohibited because such a practice would reduce or completely would make impossible any further exploitation of the contaminated soil layer (e.g., for geothermal purposes), while a longer lasting impact of such activities is not completely understood. In the area of active extraction of shale gas around 0.1-0.5 liters of chemicals per square meter are injected. This is a quite serious undertaking, having in mind that the potential of shale gas reserves are too small to have significant impact on gas demand in Europe. The entire report (in English) can be found HERE. Based on the conclusions of the the European Parliament’s report in relation to the current and important issue for all Bulgarian citizens - "for" or "against" the extraction of shale gas in Bulgaria, ASDE - "Ecoregions" supports the position of refusing hasty and dangerous for the environment and human health research activities, despite of the good intentions for diversification of energy sources, which Bulgaria depends on. At the end of 2011, we are proud to present a homonymous poster - ”BulCover” - A national database of land cover in Bulgaria, based on the land cover classification system of the UN FAO (LCCS-FAO-UN). In 2010, Bulgaria was the the first Member State in the EU to build its own land cover database developed as a referent geo - data set with potential of being used for harmonization of data in accordance with Directive 02/2007 - INSPIRE. Even more referent geo - data set can be used for accuracy in leading EU programs, such as GALILEO and GMES or another European directives and regulations in the fields of transport, agriculture, regional development, environment, risk and security management, and others. Within the activities of the interagency Working Group to Council of Ministers in order № P-16 from 2010, updated by Order № P-232 / 28.10.2011 by the Prime Minister for „Coordinated initiatives under Europe 2020 strategy and the Danube region in cooperation with the Federal Republic of Germany - Bavaria and Baden-Wuerttemberg“ and implementing work programs of the two permanent committees with these federal states and with the active cooperation of both public benefit organizations, Alliance for the Environment and ASDE-Ecoregions, from October 2011 a project of cooperation is carried out between the State Agency "Archives" and the State of Baden-Wuerttemberg, and as a result there are medieval documents, charters and archives already studied, published and available in digital form. The activity is carried out on the spot by Ms Iliana Paskova, Head of „Archive funds utilization", the "Central archive" department at SAA, during one month of investigation in October 2011. Cooperation continues by similar studies and exchange of experience provided with Bavaria, Federal Republic of Germany (FRG). Emphasis on exchange of experience and work of Mrs. Paskova in State Archives in Ludwigsburg is opportunity to provide digitized archives on the Internet, where Ms. Paskova performed on his own digitalization and presentation from microfilm. For more information, click here. Stored for security reasons in a mine gallery in Schwarz Wald microfilmed archives are a great national wealth and should be provided for broad access to any parties concerned. 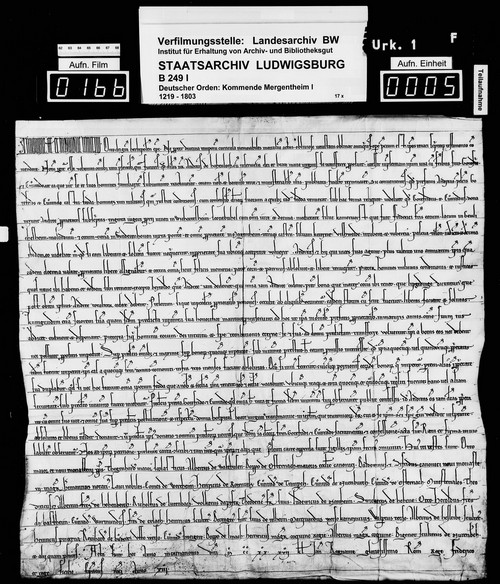 Therefore, in Ludwigsburg State Archives, with valuable assistance from the Bulgarian expert from SAA Sofia, Ms. Iliana Paskova microfilm of documents of the German Order (In Archives № 249), together with supporting details (content , a magnifying glass to read by clicking on Bestand B 249 and others) were digitized and presented on the Internet. On this basis, new documents will be presented on the Internet. For more information click here. 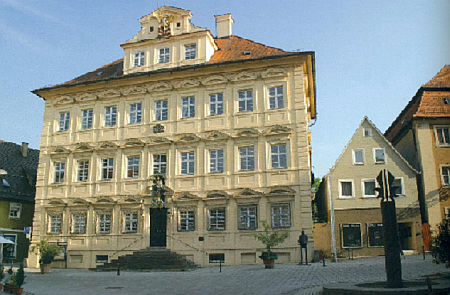 From 27th to 29th of May 2011, a round table \ scientific conference on "European culture and life-work of St. Cyril and Methodius" was held during the annual Methodius festivals in the city of Ellwangen, Baden-Wuerttemberg. As on of the initiators built this Institute, Agency for Sustainable Development and Integration - Ecoregions, actively participates in the organization of the roundtable. Current information about the conducted event can be found on the following Bulgarian and Germanweb sites. In Brussels on 17th of March Urban Development Group and the URBAN-NET organize preliminary workshop within the tripartite presidency concerning the benefits and expectations among the good cooperation between research and urban planning and management. Information that cities receive from researchers in support of solving current significant problems in management and development of urban agglomerations is still untimely and insufficient. On the other hand citizens' expectations increase towards scientific programs and projects in support of performing applicable research results in areas important for all of us. The vision for a greater focus on the knowledge and research for urban sustainable development "Scoping Paper Urban Knowledge and Research in the European Urban Agenda for was set forth by the Spanish presidency. The expectations are to intiate a better coordination between politicians , local authorities and scientists as well as greater labour efficiency in regards to the new program period. More information about the workshops program and speakers can be found HERE. Register for the workshop HERE. More information about the project can be found on the official website - www.urban-net.org. Contribution to the operative capacity of European Programme for Monitoring the Environment and Security - GMES. Referent database - land cover layer. 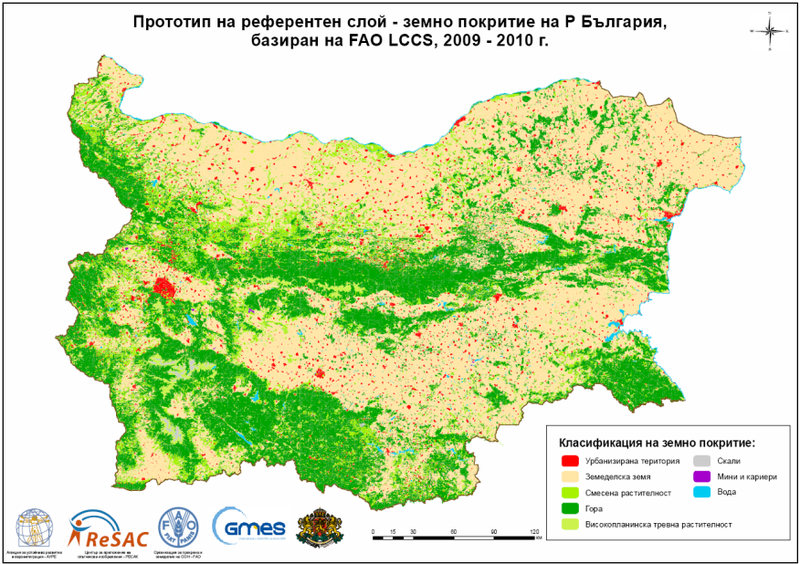 Bulgarian contribution to the development of a national land cover database using FAO-LCCS system is a way to transfer the world experience into a local level of decision-making management. Reference database-land cover layer on the territory of Republic of Bulgaria is fully prepared by experts from the Agency for Sustainable Development and Eurointegration - Ecoregions / ASDE / and Remote Sensing Application Center- ReSAC. The preparation of referent land cover layer was based on satellite data from the Landsat satellite (USA) since 2009, with a resolution of 30 m. Information about the altitude and inclination is provided for each spatial object from lend cover. An authenticity check of the interpreted data was made with achieved thematic accuracy within 85%. Bulgaria is the first Member State, who launched e land cover database based on a worldwide adopted LCCS methodology covering the whole country and updated for 2009 - 2010 . Another Member State that prepared such a database using the Bulgarian experience is Romania. The Referent database-land cover layer on the territory of Republic of Bulgaria is fully prepared by experts from the Agency for Sustainable Development and Eurointegration - Ecoregions / ASDE / and Remote Sensing Application Center- ReSAC in association with FAO-UN specialists. The next stage provides an upgrade of the database in a larger scale mapping and inclusion of more land cover classes. The product is available in vector format, suitable for a map of the scale of 1:50 000. It is available at the following address: bsdi.asde-bg.org, where you must provide username and password. The database is available to the Executive Agency "Electronic communication networks and information systems" at the Ministry of transport information technology and communications and can be used in the construction of national geo-portal for the purpose of harmonization of spatial data as well as for other purposes. The use of this product for various applications is a paid service so it is protected by copyright law. Please contact us for access to the service! A parallel processing of the provided information is upcoming on purpose of interconnections and useful results. EFFIS – system with web-GIS mapping of fires at the moment, including presentation of the current weather conditions and forecast for the next 7 days, is available HERE. EFAS – system with web-GIS mapping of information on current flooding, including the pressmark of critical levels, is available HERE. Copyright ASDE-Ecoregions, ReSAC © 2017. All rights reserved.